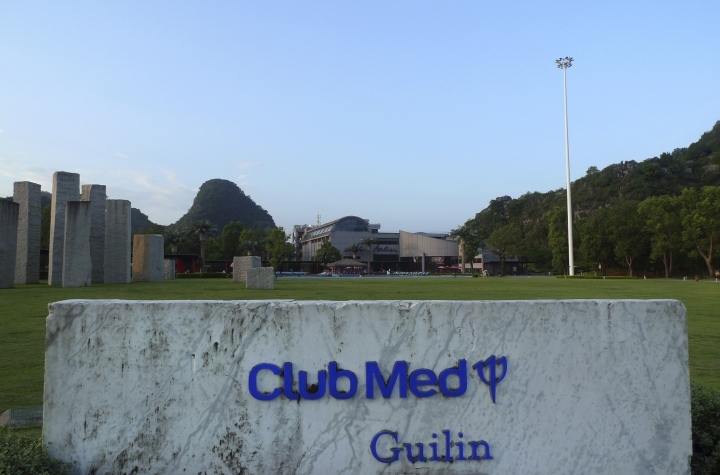 And what better way to decompress from our fascinating yet grueling family trek through one of China's less touristed regions than with a stay at a familiar Western holiday staple: Club Med. 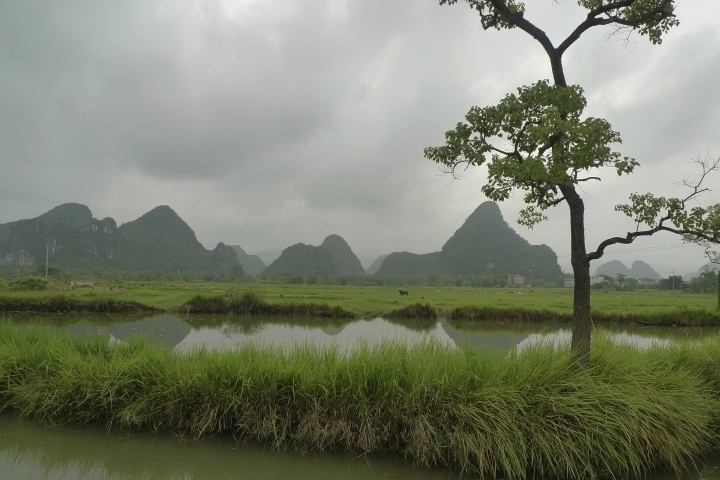 We booked a four-night stay at the Club Med in Guilin, in the Guangxi region, an area best known for its otherworldly limestone karst outcroppings and a fishing tradition that uses cormorants to snare catches — scenes so famous they're depicted on China's 20-yuan notes. My wife and I were experienced China travelers but Club Med newbies, and we were curious about how the brand would translate there. 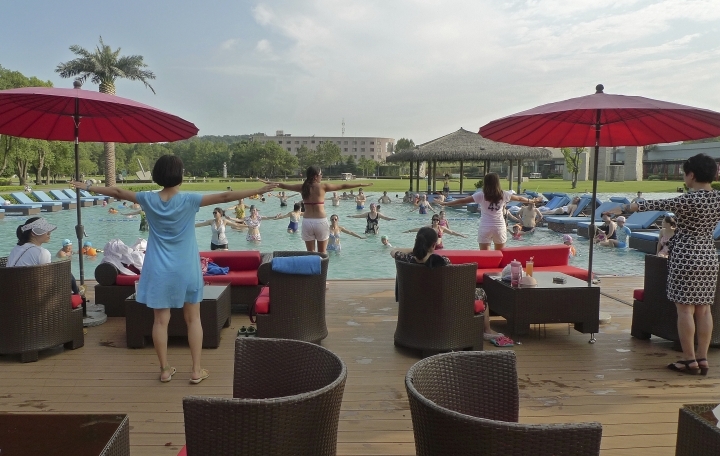 The country is a relatively new but expanding market for the company, which was taken over in 2015 by China's Fosun, a conglomerate with big ambitions for the global leisure industry. Club Med has opened three other resorts around China since 2010, in the Yabuli ski resort, Hainan's Sanya and in Beidahu in the northeast. 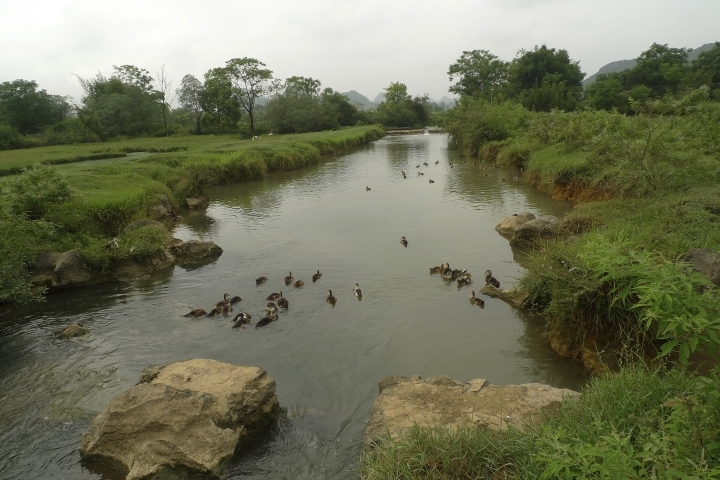 It plans to open a Joyview branded resort in Anji, famed for tea-growing and bamboo, later this year. For us it was a no-brainer: We knew that as we made our way back home to Hong Kong, we'd appreciate the all-inclusive package and chance to relax after our hectic sightseeing trip. Some of the collection is housed inside an art gallery that also featured photos of celebrity visitors, including, strangely, Afghanistan's former President Hamid Karzai on a visit in 2014. 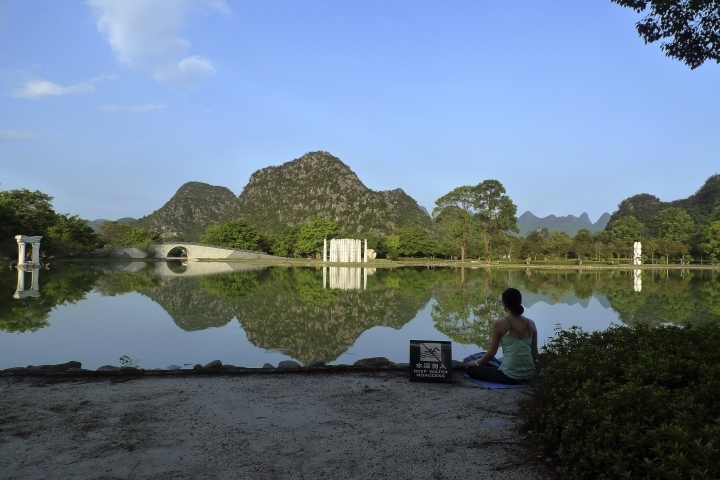 Behind the gallery, there's a zen lake, where guests could be seen meditating on the sandy shore as its still waters reflected lush foliage, irregular karst peaks fading into the distance and an arched walkway known as a moon bridge. Besides art, we kept ourselves entertained at the resort's three swimming pools, one with the requisite swim-up bar, or with activities like rock climbing and trapeze for the kids and gym class for the adults. I joined mountain bike excursions that took us off campus as a trip leader led us down a gravel track into the park surrounding the resort, through quiet groves of trees and past grassy fields, with hardly another soul in sight. On another day, we left the resort's opposite end, passing through the village next door, called Dashandi, or Big Mountain Base. The group stopped to snap photos of a mother duck leading ducklings down a canal. 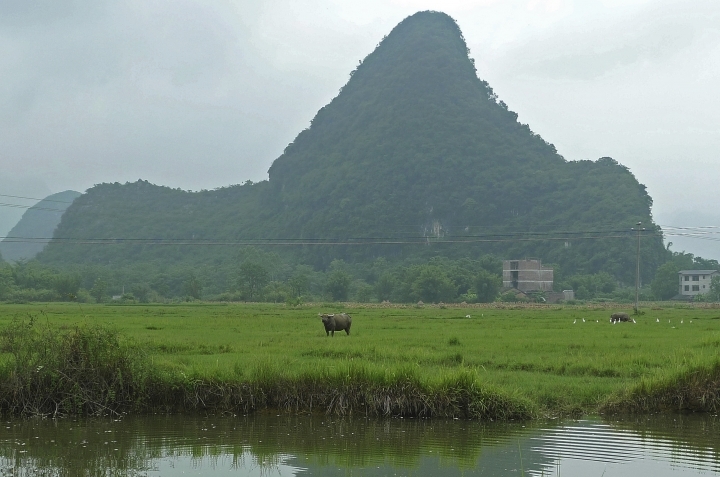 Down the path, we stopped to take in what seemed like a Chinese watercolor brought to life: water buffalo grazed in a field alongside long-legged birds, as the karst peaks loomed in a hazy background. Almost all the resort's guests were Chinese visitors, apart from a handful of foreigners, mostly European. The company has made some tweaks to please its biggest market, equipping its bar area with mahjong tables and karaoke rooms. The artificial pond was stocked with koi — said to be good for feng shui. One night a circus-themed act put on by some of the staff G.O. 's, or "gracious organizers" in Club Med parlance, performed with the trapeze, rope straps and hula hoops. One performer used his chin to balance bowling pins, a guitar, a wooden bench and even an extension ladder, an act that drew the biggest cheers of the evening.